Posted in: Uncategorized. Tagged: hoppers, leopard gecko, lizards, reptiles. 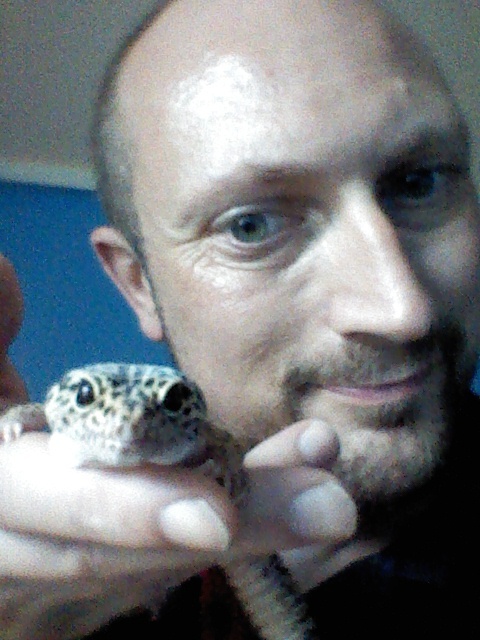 Just a quick mention, 22 years ago today my little companion, Ramona the leopard gecko came into my life. She’s now going to be treat to a nice big fat hopper. #Lizards are cool! Posted in: Uncategorized. Tagged: author, horror, horror films, Jonathan Green, monsters. Just for fun I thought I’d post this picture. 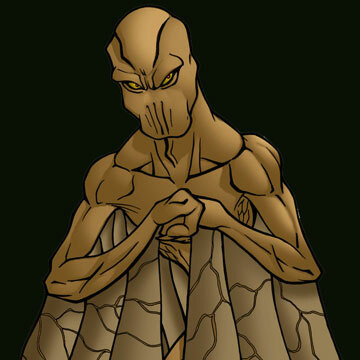 I didn’t draw it I found it online, Grats to the artist it’s a fine comic style take on a monster which scared the crap out of me as an eight year old boy. Can you guess the movie it appeared it? Posted in: Uncategorized. Tagged: Australia, Ian Livingstone, jam, Jonathan Green, Kickstarter, Steve Jackson, The Warlock Of Firetop Mountain, the wicked wizard of oz, The Wizard Of Oz, Tin Man Games. I managed to put the final bid on……it was £29.50. Enter the Jam! 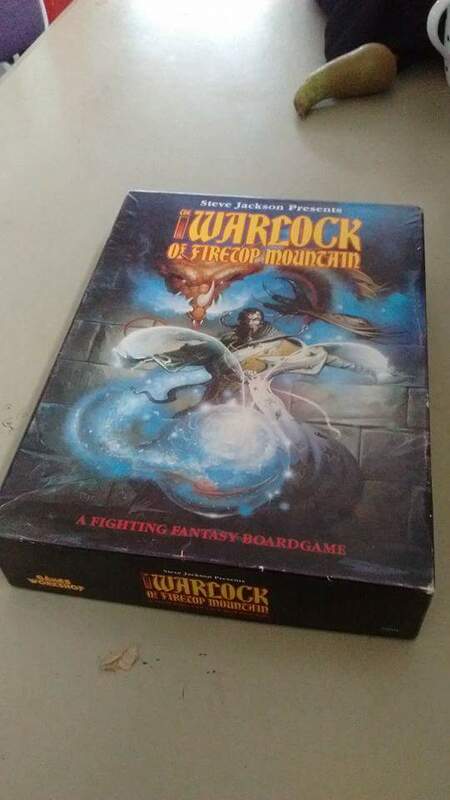 I’m now the proud owner of a pristine copy The Warlock Of Firetop Mountain board game. (Got another one but the box is a bit scuffed) I’d love to meet Ian Livingstone and Steve Jackson so they can sign it. Hopefully they’ll be an FFF2? Tin Man Games of Australia will be releasing the Steam app of this game soon too. As a backer of this crowd funded venture , my name will appear in Zagors crypt! Speaking of Tin Man… Jonathan Green will be launching a Kickstarter project soon, with a game book based on The Wizard Of Oz! The Wicked Wizard Of Oz will be launched on Kickstarter on the 3rd of September, and you can find the public group of the same name on Facebook!! Posted in: Uncategorized. Tagged: Adam peaty, Olympics, Rio. Ok I admit it. I haven yet seen the Rio Olympics opening ceremony but will catch up on YouTube. First off, big congratulations to #AdamPeaty for bringing back Britain’s first gold medal. We usually do well in swimming, rowing and cycling. However I have this feeling we are not going to get nearly as many gold medals as in the last Olympics back in London 2012. Awwww, It’s still so fresh in my mind. Now that ‘was’ an amazing ceremony. Anyway enough of that. I’ll wish our athletes the best of luck but my prediction is we don’t get anywhere near as many gold. Posted in: Uncategorized. Tagged: chocolate, KitKat, Nestlé. Today was an interesting experience around lunch time. 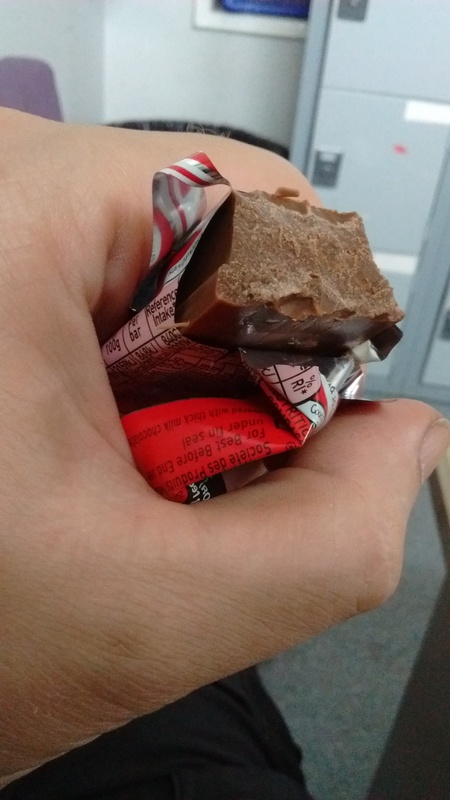 All rubbish aside, I sat down to eat a KitKat Chunky. I was pleasantly surprised to discover it didn’t have any wafer in it at all. Have sod all else to share with the world right now so thought I’d mention it, and here’s a pic for the Chocoholics amongst you. #Nestlé , your chocolate tastes so much nicer with wafer inside.